Granite system assemblies are designed for a variety of applications. They combine multiple axis of motion to create a high precision work envelope. This system is built for high duty cycles and long life and can attain high velocities for factory automation and semiconductor processing equipment. 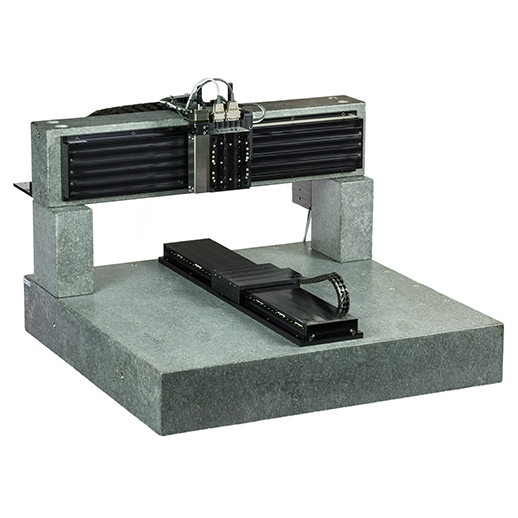 The granite structure provides an excellent base for the assembly allowing for extremely high levels of orthogonality, flatness and repeatability. Integrated cable management for both the stage and customer mounted pieces are standard.